Virtual Umbrella was approached by a leading global investment firm to arrange a VR Safari with a twist. 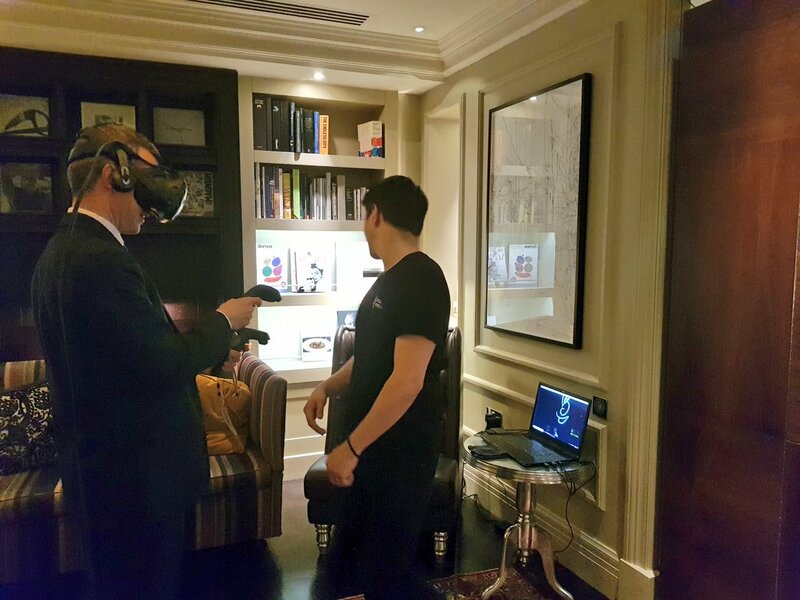 20 executives were invited for a ‘VR Dinner’ at a luxury hotel venue in London to try out a variety of VR and AR experiences. 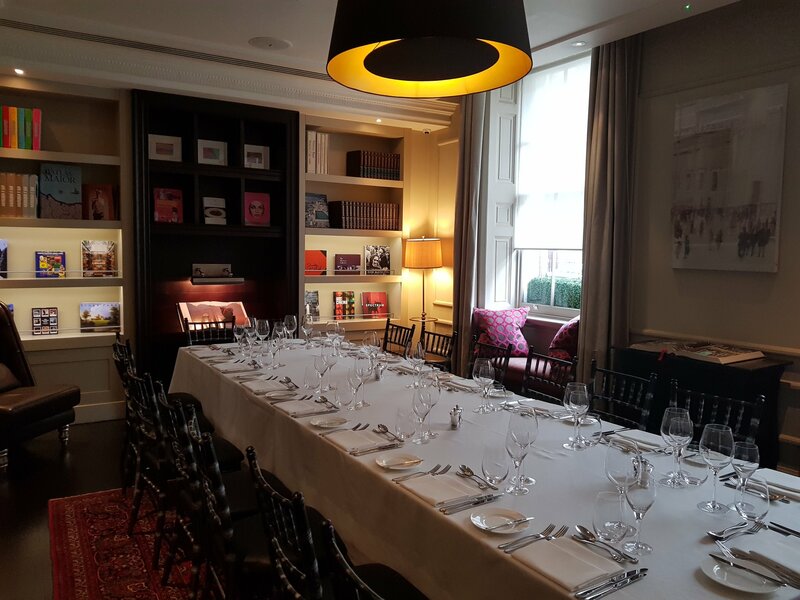 The hands-on workshop was followed by a three-course meal and joined by two veteran speakers (Robin Scott from MakeReal and Colin Evison from BAM) who shared their experiences of creating and using VR & AR in the commercial sphere. The event was a great opportunity to help our guests gain insight into the VR/AR industry, combining practical hands-on experience of the tech with thoughtful and considered talks from industry super-stars. Judging from the animated talk over dinner, the night was a perfect example of how immersive technology can spark important and interesting conversations and continue to inspire the world of business to innovate. This ‘VR Dinner’ forms part of our VR Safari – a series of digital innovation workshops designed to give businesses insight into some of the world’s most cutting-edge immersive technology.